To foster a closer bond between its members and the petroleum industry, to broaden the scope of activities of its members, and to maintain the high ideals and standards of the Engineering profession. 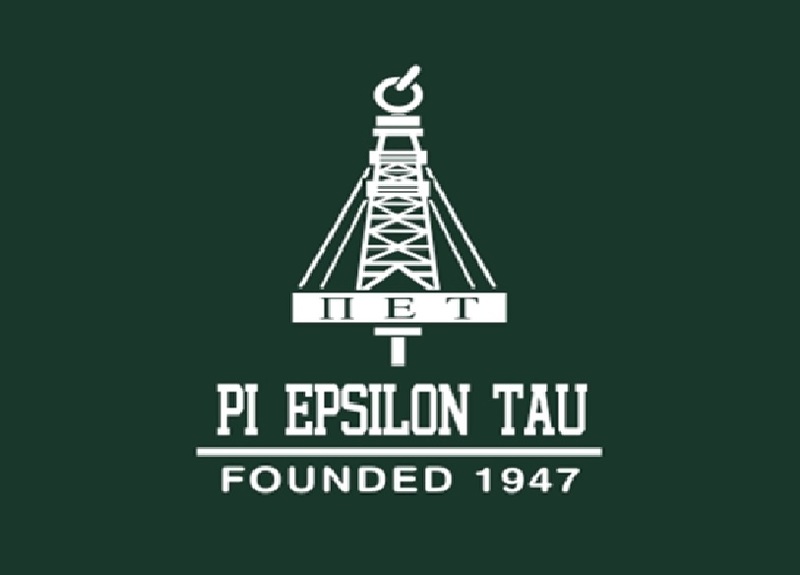 Petroleum Engineering’s honor society, Pi Epsilon Tau, was founded at the University of Oklahoma in 1947. Paul S. Johnston led a group of petroleum engineers who shared a sincere desire to create for the petroleum industry an organization that fosters loyalty, good fellowship and mutual cooperation. The society’s objectives are to create a closer bond between its student members and industry, to broaden the scope of activities of members, and to maintain the high ideals and standards of the engineering profession. Pi Epsilon Tau is governed by a National Council consisting of five members. Dr. Kenneth Gray of the University of Texas at Austin is the National President. The Kappa Chapter of Pi Epsilon Tau was founded in 1961 by 24 founding members and was presented with it's charter in 1970. The Kappa Chapter now has over one thousand alumni. Active members are chosen on the basis of their scholastic accomplishments, leadership, and sociability. Students are selected from the Junior and Senior Undergraduate classes of the Petroleum and Geosystems Engineering Department at The University of Texas at Austin.